VPInstruments develops produces and supplies energy management solutions for compressed air and industrial gases. We reveal the true costs of compressed air, nitrogen, and technical gases; we show our clients where, when and how much they can save. Our mission is to help you measure, monitor and manage your compressed air system and reduce your energy consumption. Our VPVision software warehouses data and helps you analyze this flow date, which means it doubles as a cornerstone of a monitoring system for many plants seeking to sustain the energy efficiencies they have achieved. Save up to 50% of your compressed air-related energy costs! Products that VPInstruments offers are web-based energy management software, flow meters and sensors for compressed air, data loggers for flow, pressure, temperature, kW and other utilities as well as compressed air audit tools. 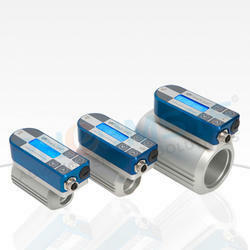 Air Flow Meter measures mass flow, temperature, and pressure simultaneously. It's the ultimate compressed air audit tool, used by leading auditors worldwide. The device has a built-in display with a keypad for configuration: no need to bring a computer on-site! With the VP FlowScope, you can measure virtually any compressed air system with a single instrument. The VPFlowScope® in-line is the ideal flow meter for point of use consumption measurement. 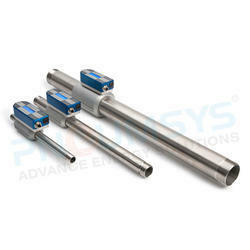 It measures mass flow, temperature, and pressure simultaneously and in both directions. The VPFlowScope in-line is perfect for smaller diameters where it produces all the data you need to optimize your compressed air consumption. With the VPFlowScope® in-line you don’t only see your energy consumption, but you can also check the efficiency of your distribution network as well as your true savings potential. It provides all the necessary data to make the right decisions every day. 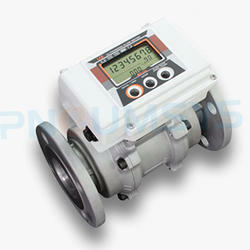 Digital Flowmeter is used to measure the quantity or a flow rate of a gas inside the pipe. An accurate flow meter plays the vital role to identify flaws with a flow control. Without which it is hard to identify why the maximum production value of a system is diminishing. At Luthra Pneumsys, we offer accurate and high-performance devices that can give you accurate information in minimum time. A flow measurement device has a diverse usage. Ultrasonic flow meters measure the difference of the transit time of ultrasonic pulses propagating with and against flow direction. This time difference is a measure for the average velocity of the fluid along the path of the ultrasonic beam. By using the absolute transit times both the averaged fluid velocity and the speed of sound can be calculated. 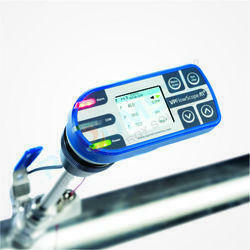 It realizes a wide range of measuring ability that includes microflows using the characteristics of ultrasonic waves. It is resistant to dust so there is no need to install filters. The flow meters are perfect for low flow gas measurement such as food and controlling gas usage of small-scale furnaces. You have a choice of driving power supply. Select from AC power, DC power and built-in batteries. External power supply 24VDC| 110VAC and in-built lithium battery. Battery life is five years (under an average environment temperature of 20°C). The batteries can be replaced on-site. High performance that supports a wide range of flow rate. Realizes a wide range of 1:50, covering minimum to maximum flow rates. Dust resistant and highly durable No need to install filters. Space-saving, as it requires no straight piping. Measures with a high degree of accuracy even installed immediately after elbow piping. A variety of output functions support visualizing flows. Unit pulse/ 4 – 20 mA DC/ RS485 (Modbus/RTU)* * RS485 is only for the AC or DC power models. 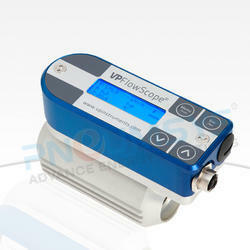 The VPFlowScope M is a three-in-one flow meter for compressed air and technical gases. 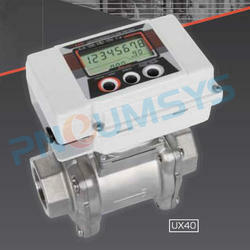 It measures flow, pressure, and temperature simultaneously. Unlike traditional flow meters, the VPFlowScope M does not require traditional recalibration, where you have to ship the unit back. Instead, the VPFlowScope M consists of a transmitter and the patented VPSensorCartridge® which reduces recalibration to a simple exchange. The VPFlowScope® Probe measures mass flow, temperature and pressure simultaneously. 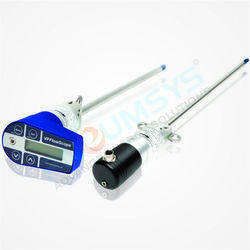 This probe can handle various diameters and measures in both directions. This makes it the ultimate compressed air audit tool used by leading auditors worldwide. 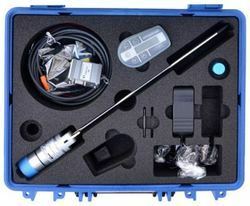 Although the VPFlowScope® Probe has been designed for dry compressed air, we also have a measuring probe for wet compressed air; the VPFlowScope DP. The VP Flow Scopein-line is the ideal flow meter for point of use consumption measurement. 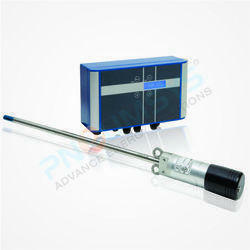 It measures mass flow, temperature, and pressure simultaneously and in both directions. The VP Flow Scope in-line is perfect for smaller diameters where it produces all the data you need to optimize your compressed air consumption. With the VP Flow Scopein-line, you want only to see your energy consumption, but you can also check the efficiency of your distribution network as well as your true savings potential. It provides all the necessary data to make the right decisions every day. On the bright blue display you can see the real-time data but if you want more analyses, you can combine this instrument with the built-in data logger, which enables you to record for certain periods of time. When you install our VP Studio software on your PC, you are able to process data, print reports and make smart analyses to find out where and how you can save money in your organization. We designed our compressed air flow meters to be easy to use, affordable and complete. You can use our bi-directional flow meters for measurement of compressed air, nitrogen, and technical gases. All our flow meters use our proprietary bi-directional thermal bridge flow sensor technology which is optional on our thermal mass flow meters, and standard on our differential pressure flow meters. The VPFlowTerminal is a plug & play wall mount display with built-in power supply and two million point data logger. The VPFlowTerminal has five sensor inputs: one input for a VPFlowScope in-line or VPFlowScope insertion meter and four generic analog inputs. It can record up to eight channels. This makes the collection and analysis of your compressed air data easier and quicker! Ultrasonic flow meters measure the difference of the transit time of ultrasonic pulses propagating with and against flow direction. This time difference is a measure for the average velocity of the fluid along the path of the ultrasonic beam. By using the absolute transit times both the averaged fluid velocity and the speed of sound can be calculated. 1. No straight pipe section required for installation. 2. It is possible to connect the flow meter directly to a bend such as an elbow piece and a flexible pipe. 3. As wide as a 1:50 turndown ratio. 4. Applicable also for measuring the gas flow of a burner having a large turndown ratio. 5. Easy to replace batteries. 6. Users can replace batteries without removing the meter from the piping. 7. Strong against dust, and high durability. 8. Use the product in such a condition that does not allow the gas to re-liquefy into oil mist. 9. IP64 Protection – available for outdoor use. 10. High temperature can cause the electronic circuit board to be deteriorated and batteries to be consumed. To avoid an unnecessary rise in temperature, the product is recommended to be fitted with a sunshade. The patented VP Flow Scope® DP is the ultimate measurement tool for wet compressed air flow measurements. The unique design enables you to take measurements in the discharge pipe of a compressor under 100% saturated conditions. You can combine the probe with two display module types or with a connector cap without display.